Imagine you’re ranked 248th in your weight category and the draw puts you against the top seeded judoka in that category. That’s what happened to Nigara Shaheen (-70kg), the sole participant from Afghanistan. In her first round she met Marie Eve Gahie from France, currently ranked number one in the World. You already could guess the outcome of that bout. However, Shaheen’s first appearance on the World Tour tatami might be more than just a judo statistic. It could be ground breaking for judo in her country … IJF Media talked to her in the Mixed Zone. For Nigara Shaheen, a master student in international trade, the Grand Slam in Ekaterinburg is her second international tournament. “Previously, I participated at the 2017 Asian Games in Hongkong, but I got a shoulder injury there. This is my first return to the international scene after my injury. I was pretty excited about it,” she says. 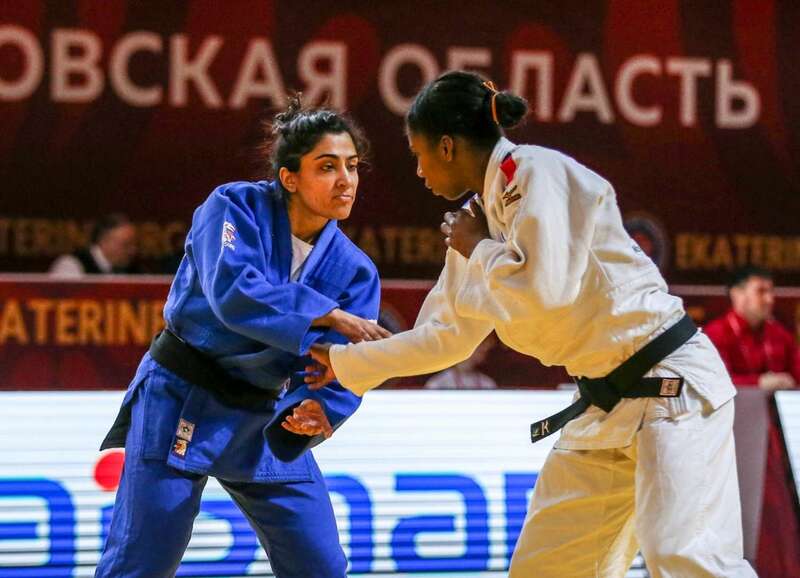 Judo made Nigara Shaheen a determined young woman. “Since I was twelve years old, I dreamed of winning a medal for my country. I have given up so much to be present here.” Studying at university didn’t withheld her from pursuing her judo career. “Currently I’m studying international trade at the university here in Ekaterinburg as an exchange student. and here I can practice with the university team,” ends Shaheen.